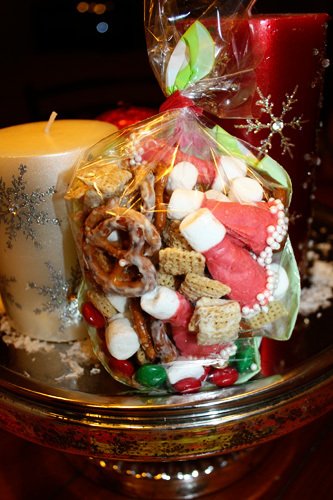 I saw the cutest Santa Hat trail mix recipe on Pinterest (yes, I heart Pinterest!) and decided to make it for the kids for St. Nick’s day. Here is Autumn by all of the ingredients. I took a bag of white chocolate chips, and a spoonful of Crisco and put it in the microwave in 30 minute intervals (mix inbetween) until melted. Then, I put some red food coloring in to make it red. 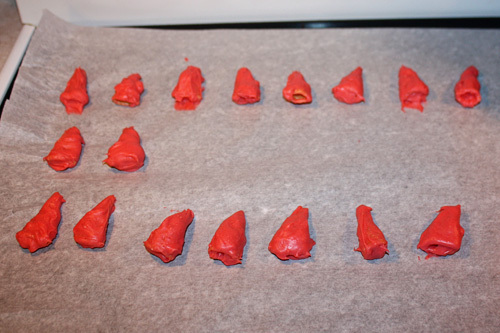 After that, I dipped bugles in the red chocolate and let the chocolate dry on parchment paper. 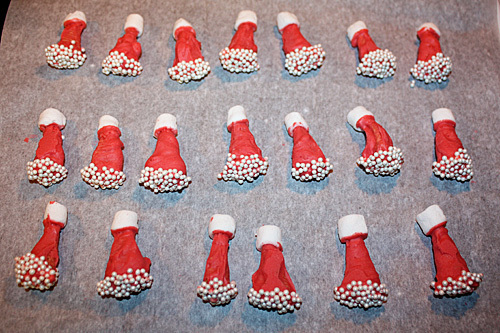 Then, dip each end into the red chocolate again, and on the small tip, press a mini white marshmallow down, and on the other side dip the bugle (hat) into white nonpareils. Then, ta-da! Santa Hats! Let dry. 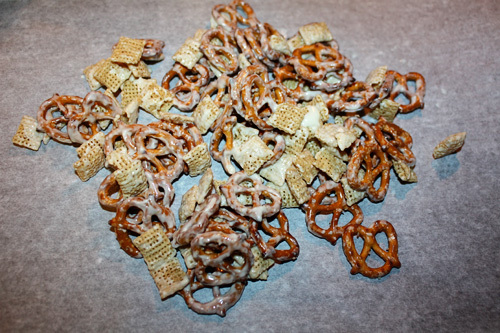 Then, I drizzled some of the melted chocolate onto pretzels, chex mix, etc. I let this dry then I broke it up to put into bags with the Santa hats. 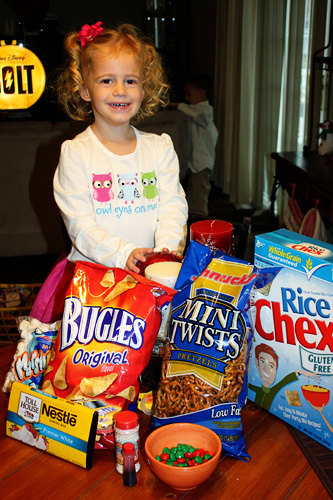 I also put some of the chex mix, pretzels, etc. into the bags that didn’t have any chocolate on them so that there was a sweet and salty mix in the bag.